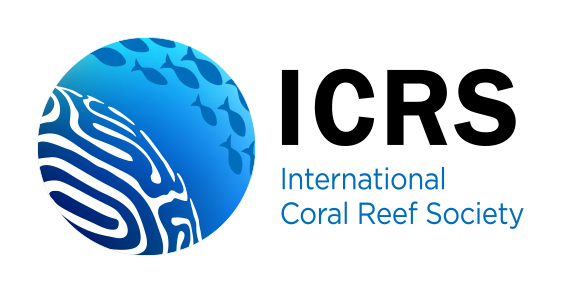 Since the 1980s, coral populations of Acropora palmata (Lamarck 1816) and A. cervicornis (Lamarck 1816) have dramatically declined in the Caribbean and have been consequently classified as critically endangered since 2008 (IUCN). Acropora palmata and A. cervicornis can form a viable F1 offspring previously described as A. prolifera by Lamarck (Vollmer and Palumbi 2002). Few isolated colonies of that morphotype have punctually been reported on Lesser Antilles reefs in the previous decades. 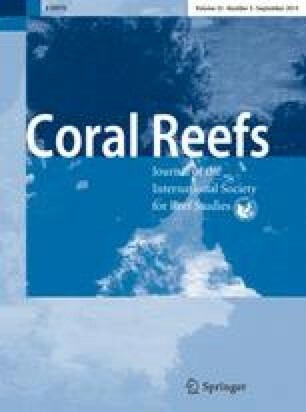 In January 2013, high densities of morphologically identified A. prolifera colonies were observed in the Bay of Grand Cul-de-Sac Marin (16°21′24.19″N; 61°35′35.12″W, Guadeloupe Island, Lesser Antilles), whereas no colonies were found at this exact same site prospected in May 2011 (Fig. 1). Genetic microsatellite analyses (unpublished data) verified the hybrid nature of the colonies and suggest that they may constitute a single clone. However, in other Caribbean sites, Fogarty (2010) found high genotypic diversity for that hybrid. As a consequence of decreased parental species’ density, eggs likely float unfertilized, increasing the probability of heterospecific sperm encounters and thus hybrid embryo formation (Fogarty et al. 2012).